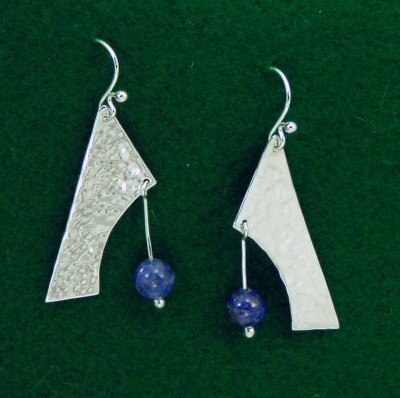 Please click on the small pix for a close-up of each pair. 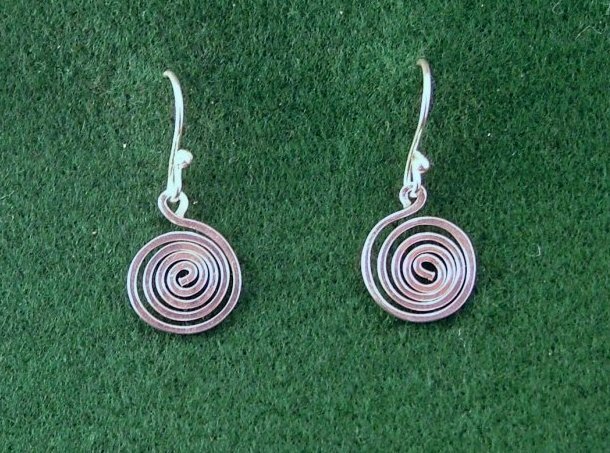 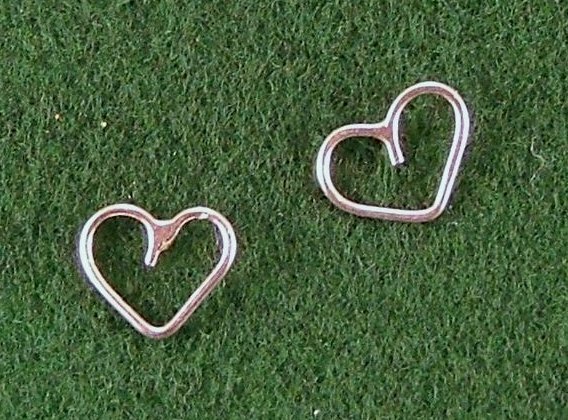 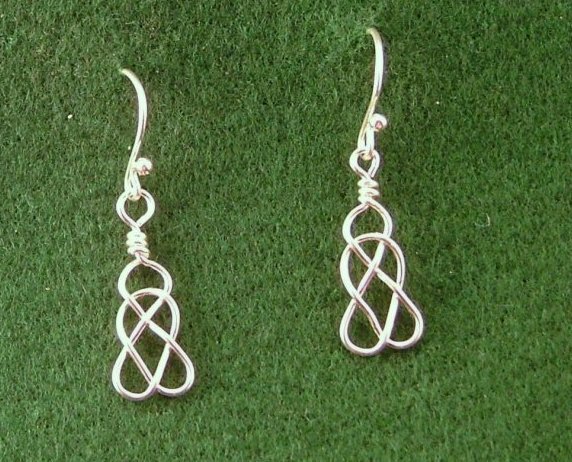 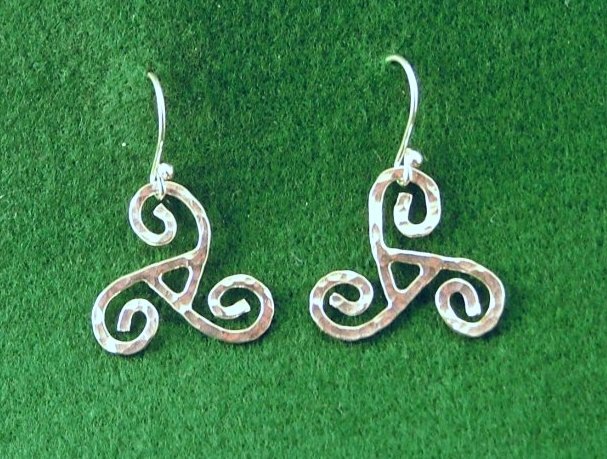 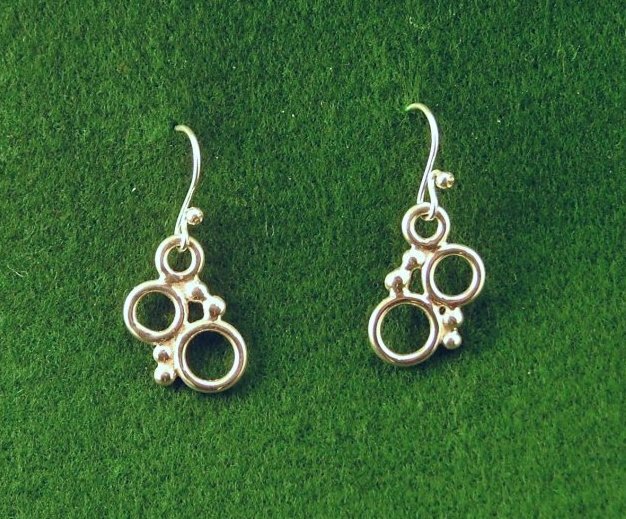 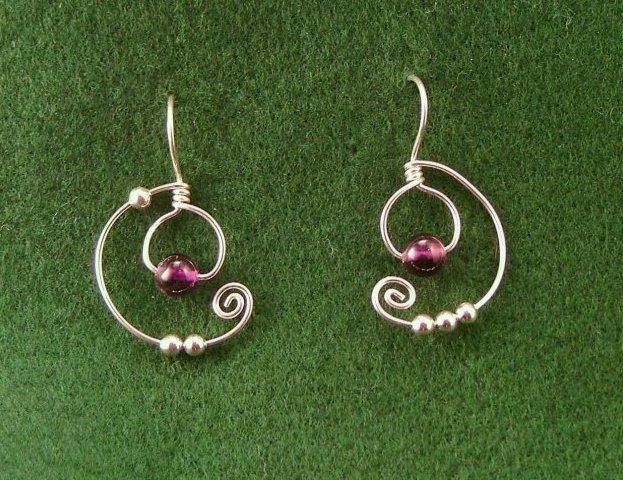 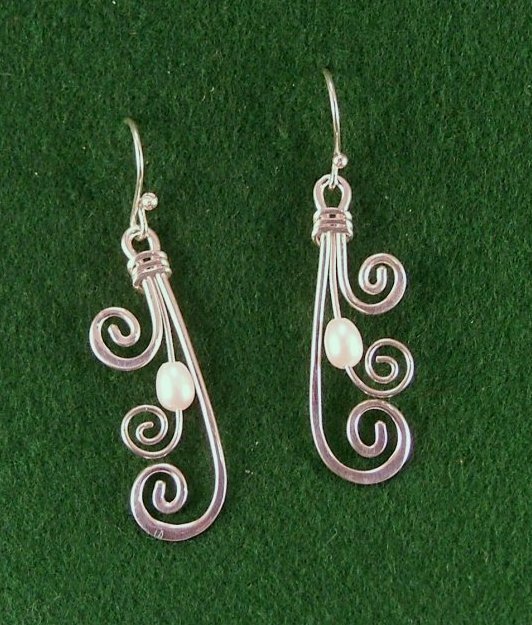 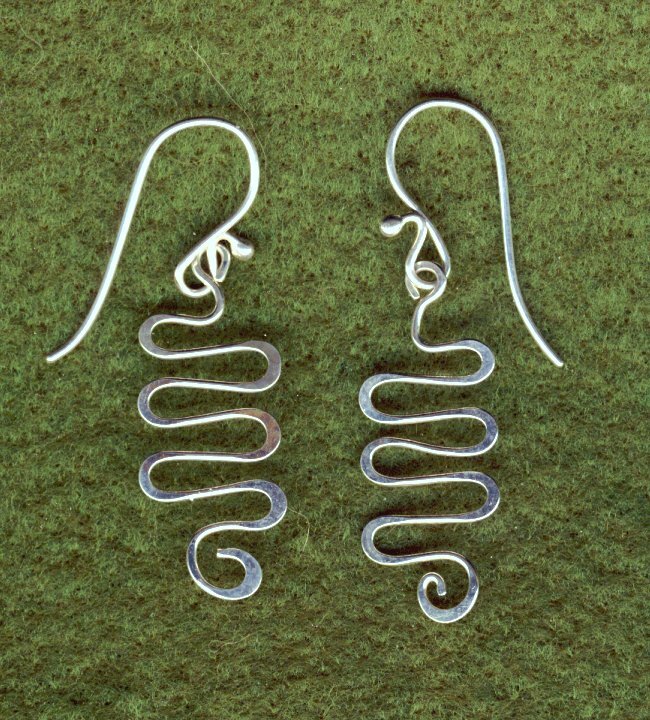 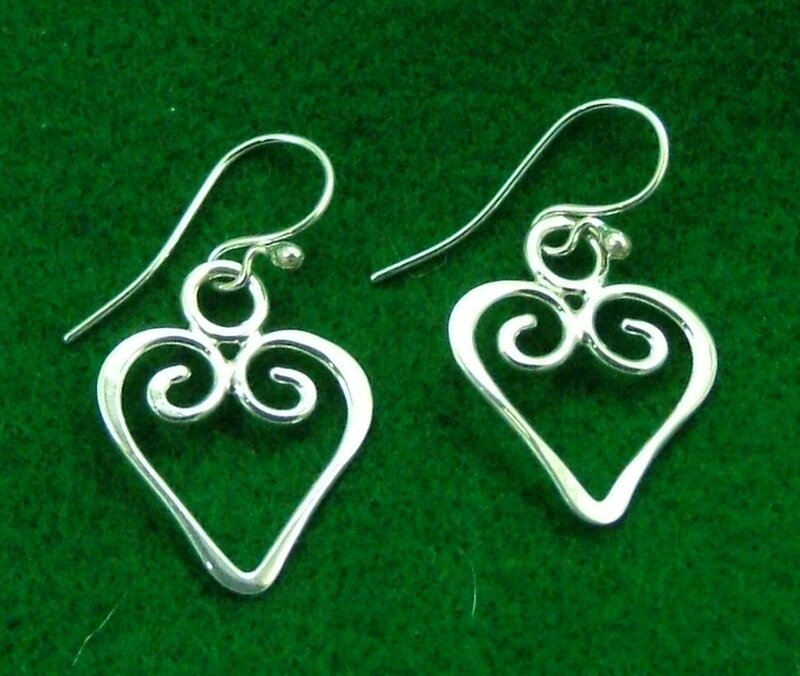 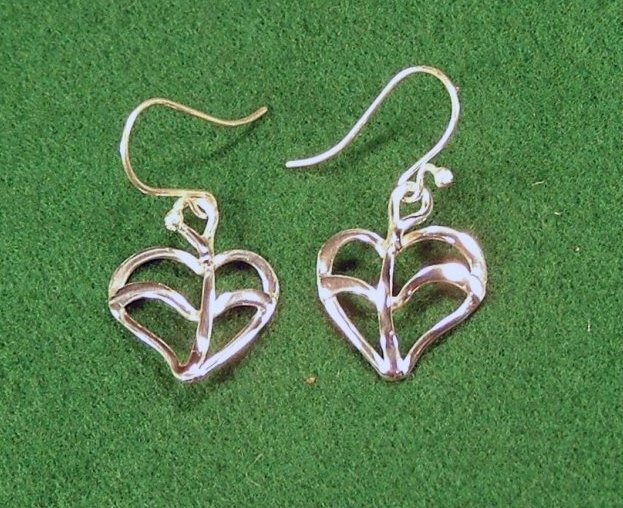 #E-01 Delicate hand forged squiggles, these earrings are very mobile and catch the light very well. 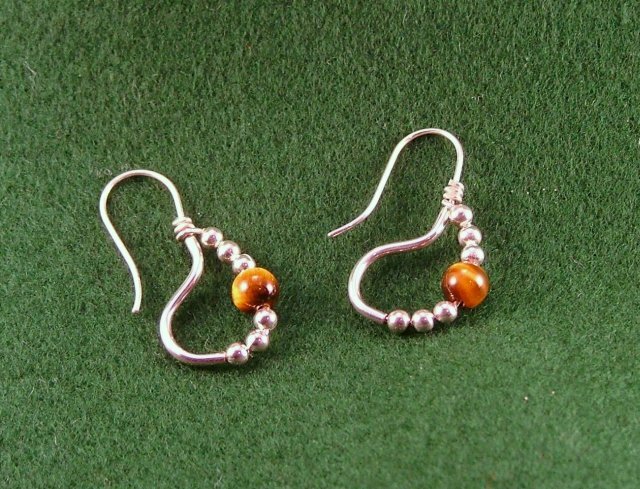 # E-04a Our most popular earring we refer to as 'Romans'. 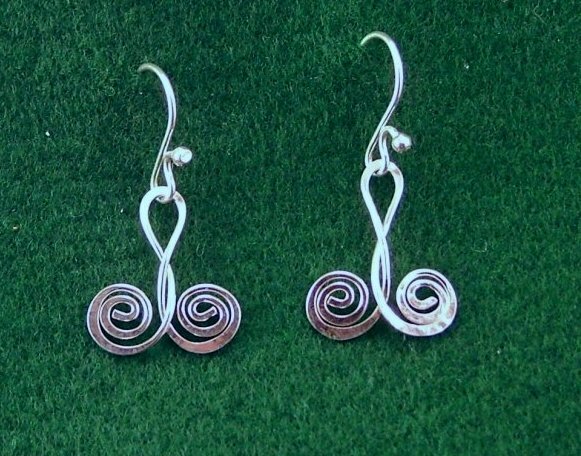 Based on a pair that were built in Rome about 2000 years ago. 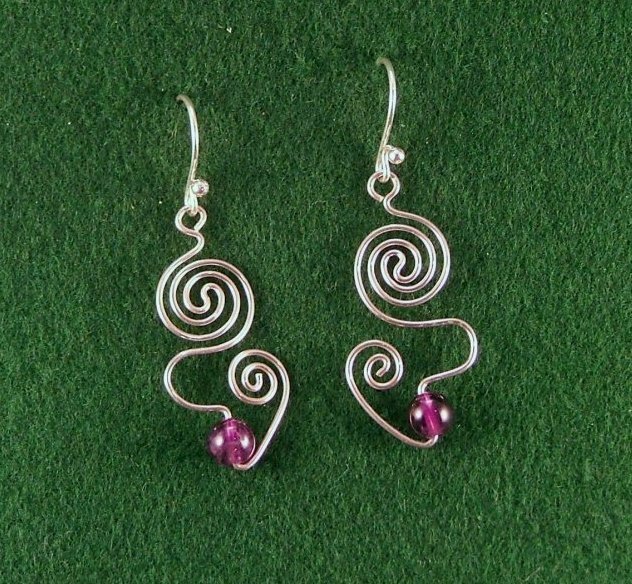 Shown in 14K gold and amethyst. 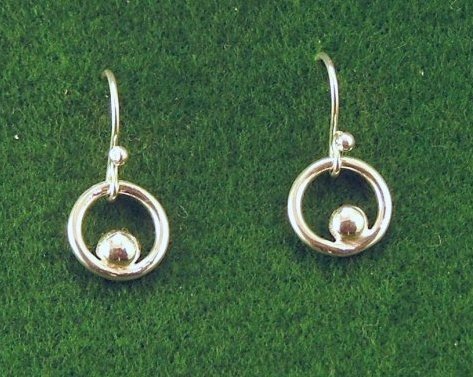 Simple but classic. 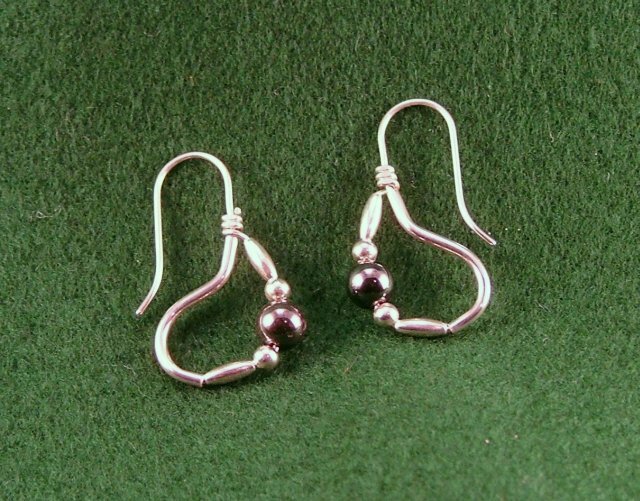 # E-04b Similar to E-04a but with a slightly different bead pattern. 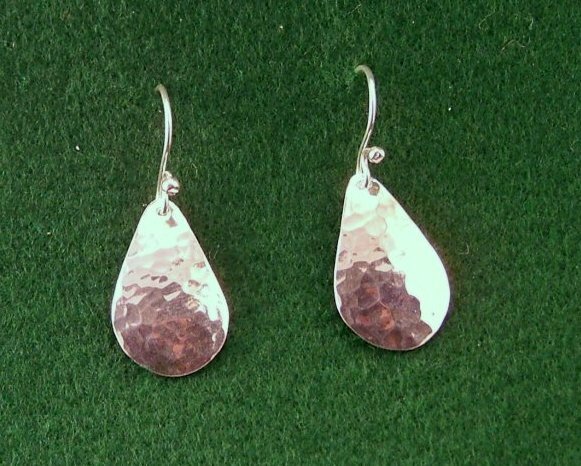 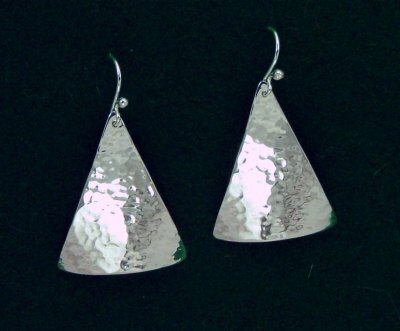 #E-05 These raindrop shaped earrings have a hammered texture that sparkles in the sunlight. 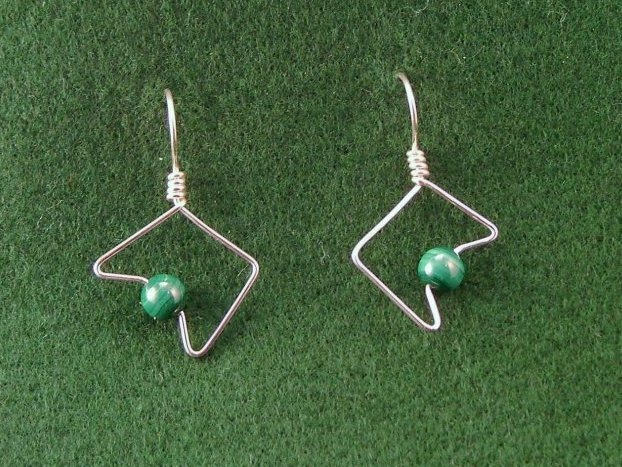 #E-21a These static abstract geometrics are very popular. 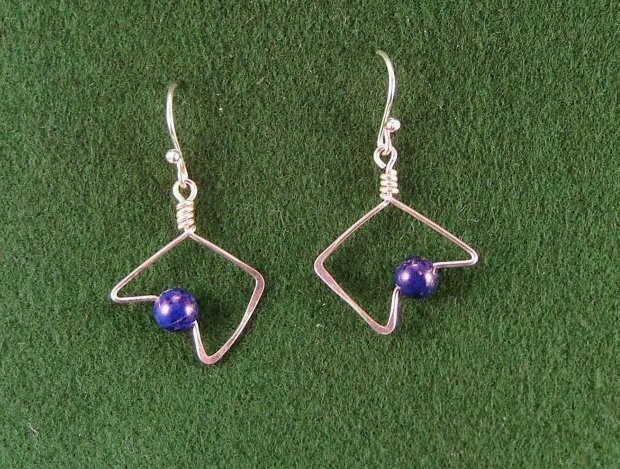 #E-21b These swinging abstract geometrics are very lightweight and very popular. 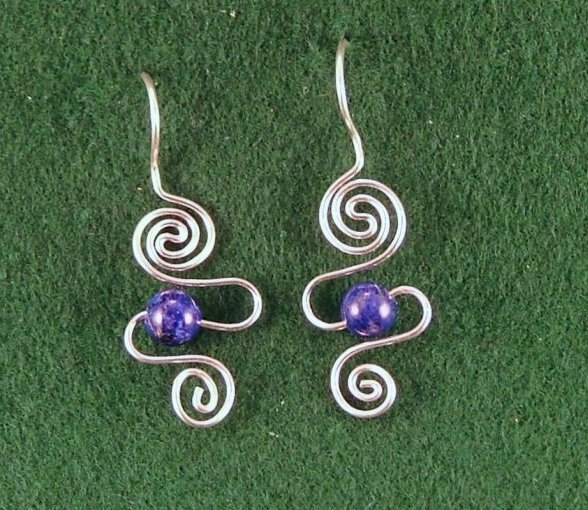 # E-23 A smaller, lighter version of the popular spirals. 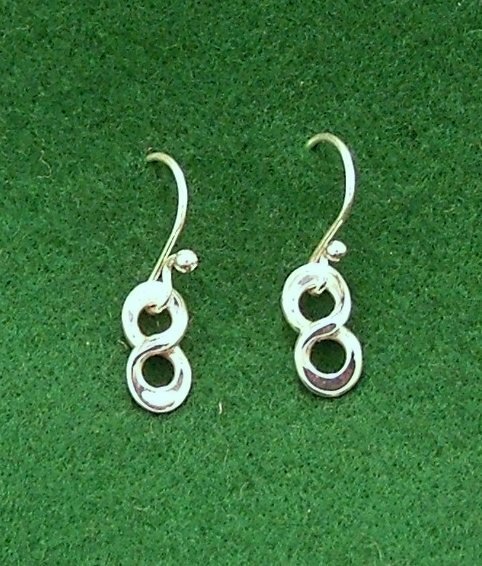 #E-26 These freeform abstract earrings were designed to go with P-035. 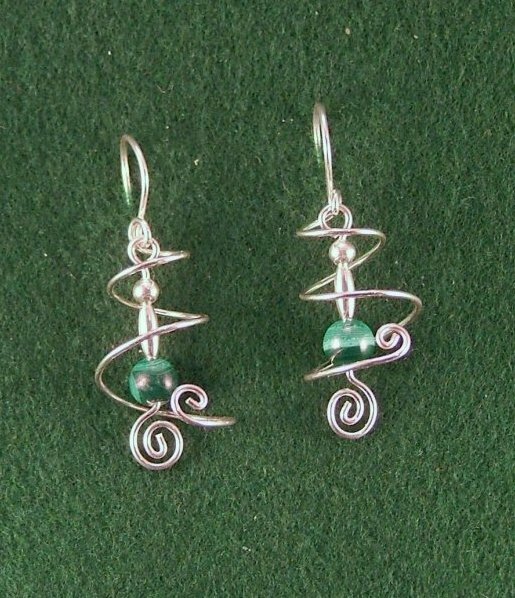 #E-27 These freeform abstract earrings were designed to go with P-032. 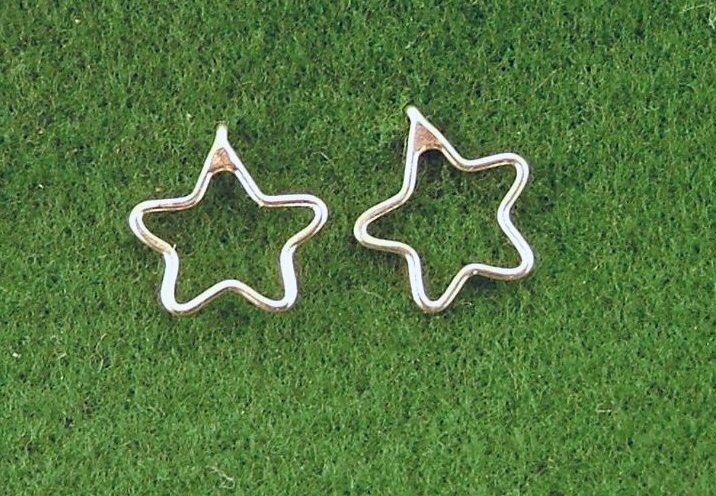 #E-28a Small static stars, hand forged and very lightweight. 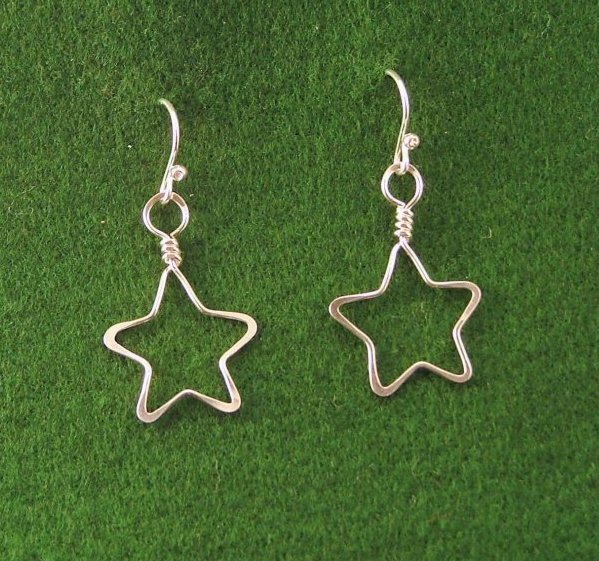 #E-28b Small swinging stars, hand forged and very lightweight. 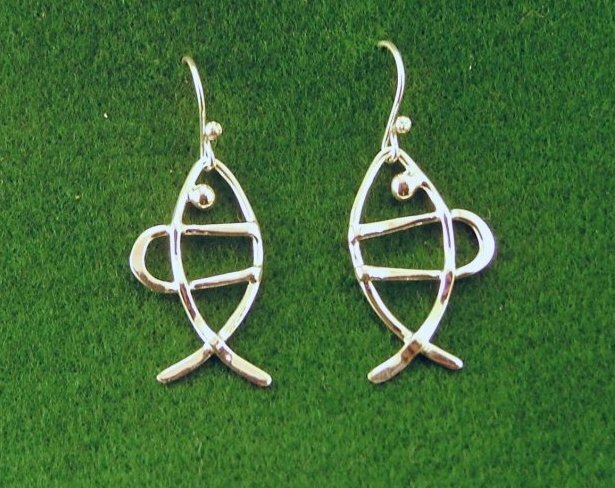 #E-29 Tiny Fish, every one hand built. 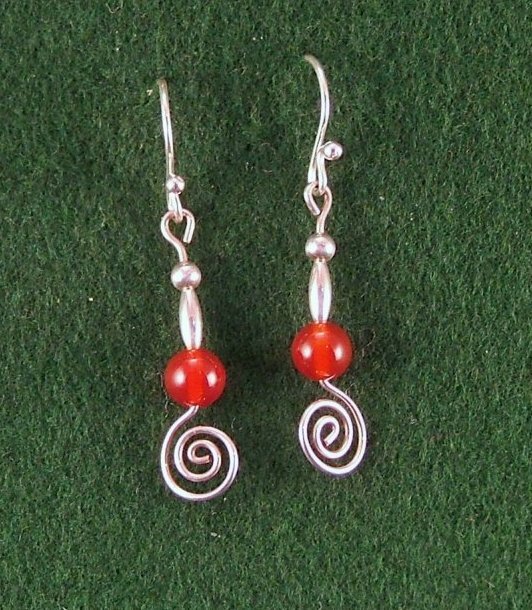 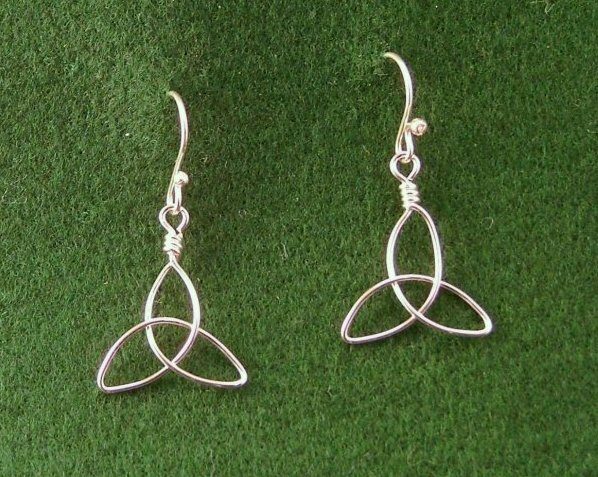 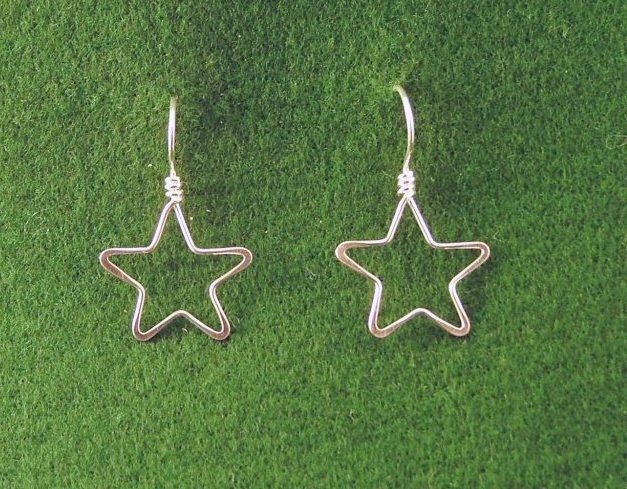 These also go very well with the Fish pendants. 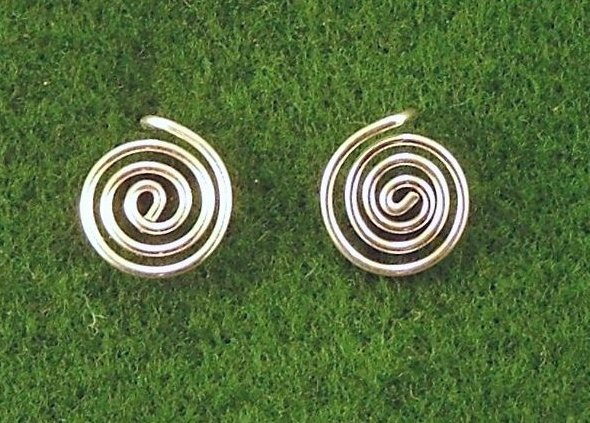 #E-43 Small double spirals, hand forged and very lightweight. 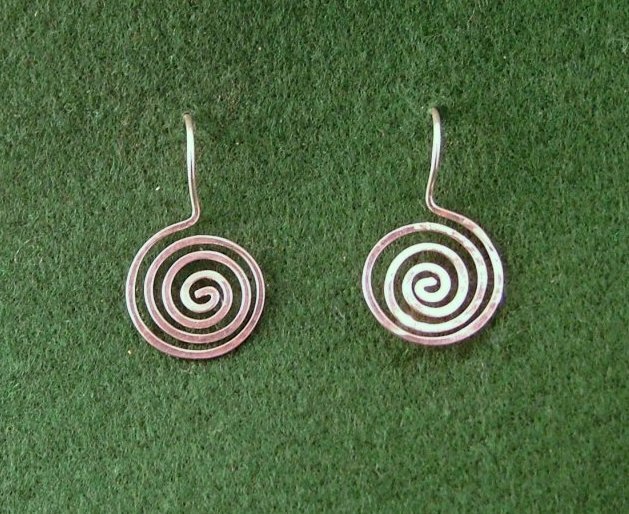 #E-44 Small smooth finished spirals. 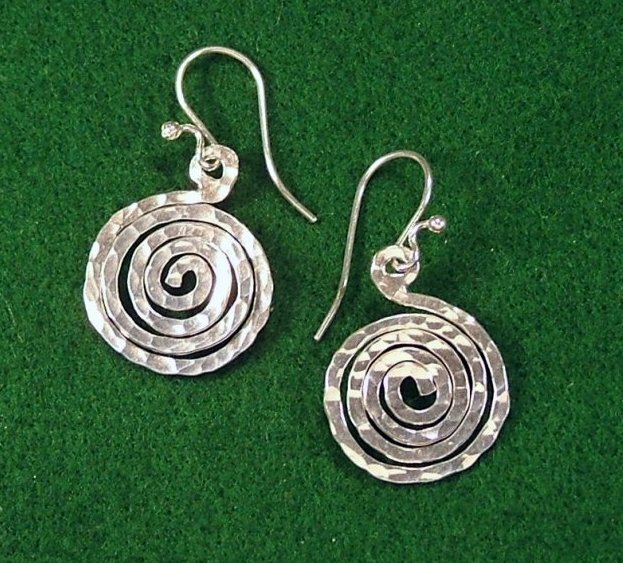 #E-45 Large hand forged and textured spirals. 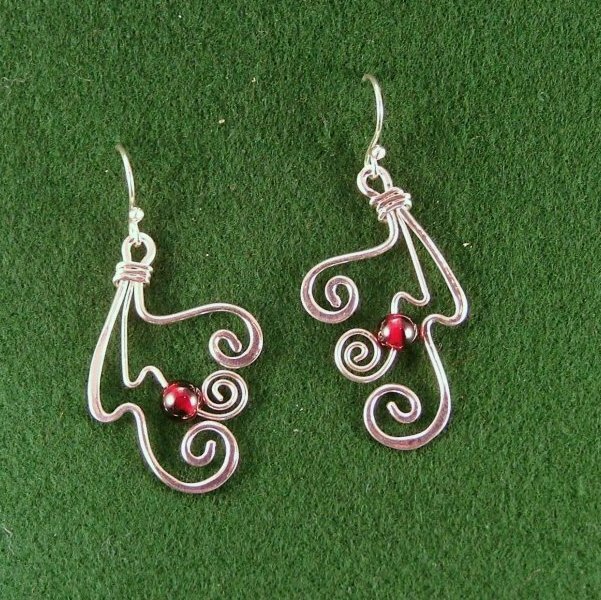 #E-46 Small open wire leaves. 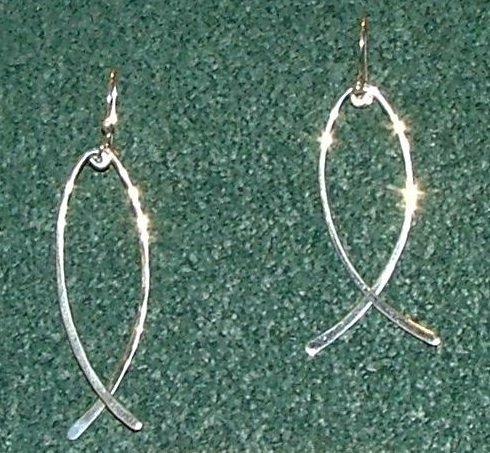 #E-50 Swinging fish, hand forged and very lightweight. 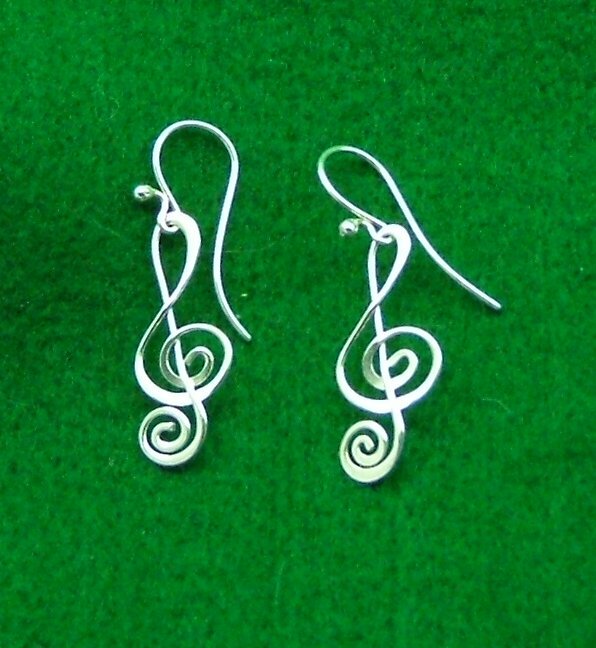 #E-51 Treble Clef earrings, hand forged and very lightweight. 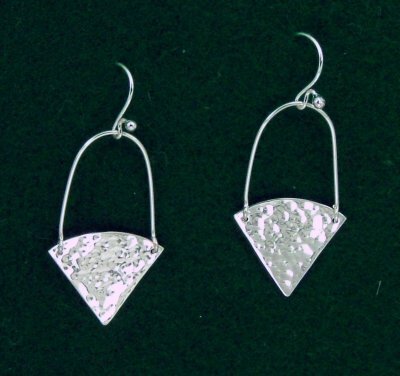 #E-54 Cutaway hammered triangles with stone bead pendant.